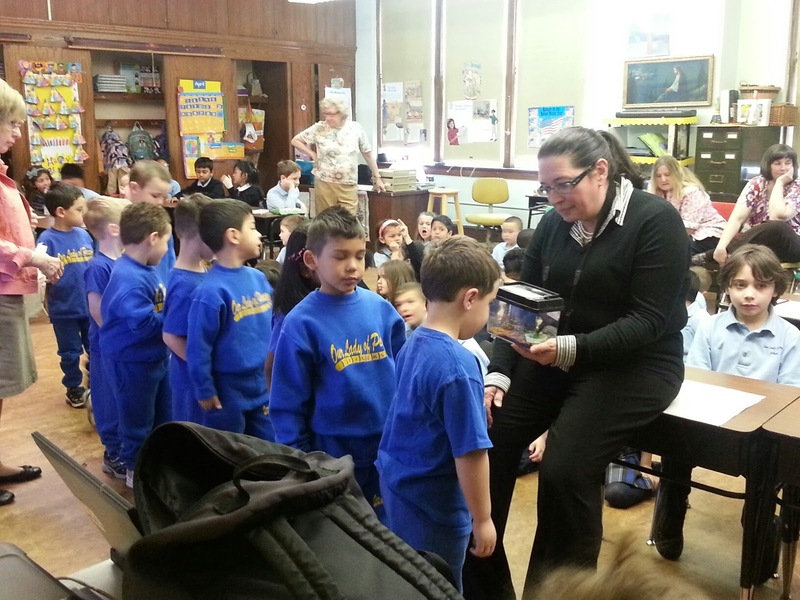 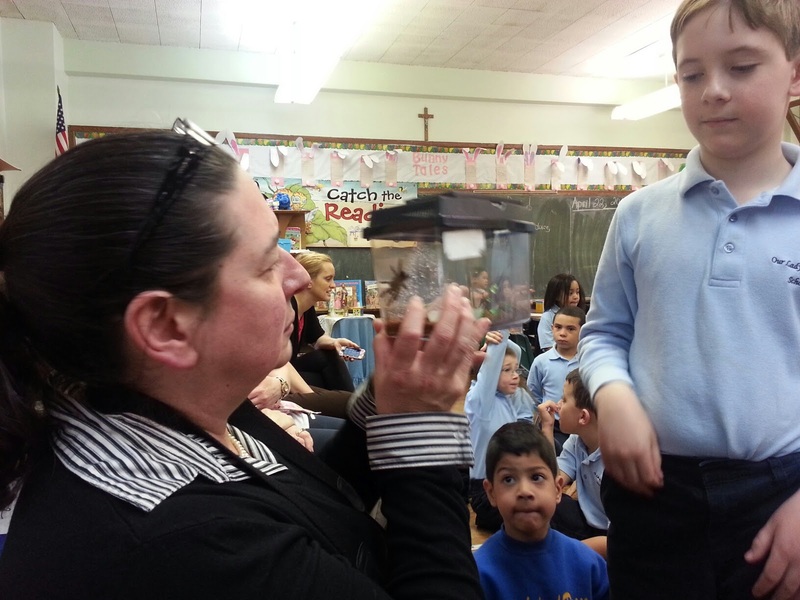 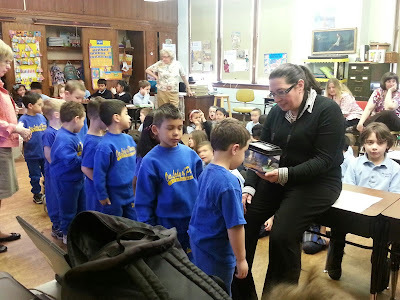 Students in Prek-4 got to see a tarantula up close as kindergarten, 1st, and 2nd grades wait their turn. Mrs. Comiskey, OLP Principal, making a close examination. 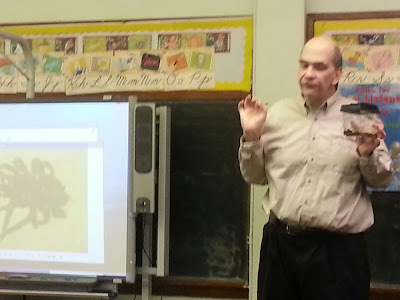 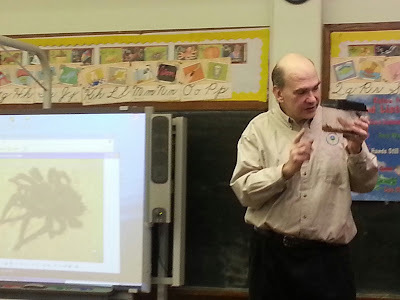 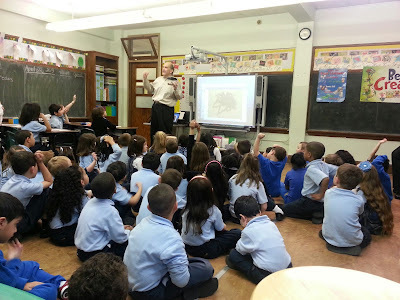 Mr. Jim Haklar, an alumni of OLP whose son Timothy is in 2nd grade here, presented an "Earth Day" lesson to the children complete with the importance of spiders and bugs!